Hamilton Sample Storage. Innovative product line brochure. 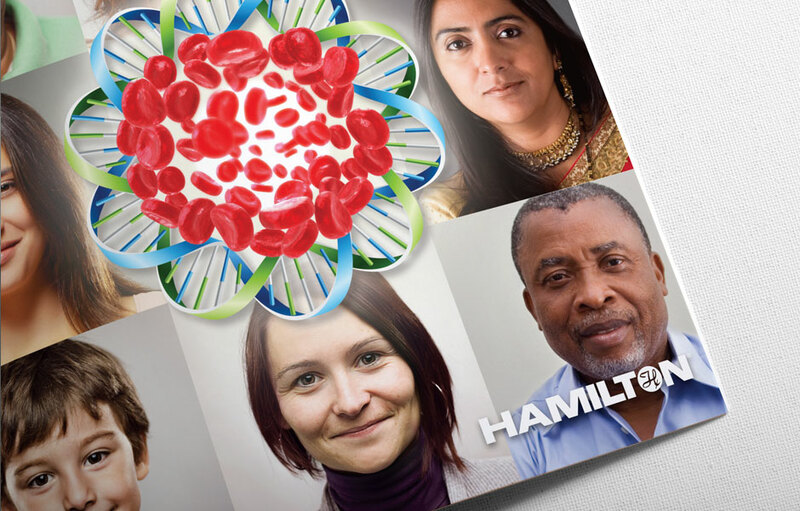 Hamilton Sample Storage needed a brochure that would cover their full line of products, for trade shows and sales staff to send to potential customers. V2Works created the overall design based on the Hamilton Company brand (designed by V2Works as well). 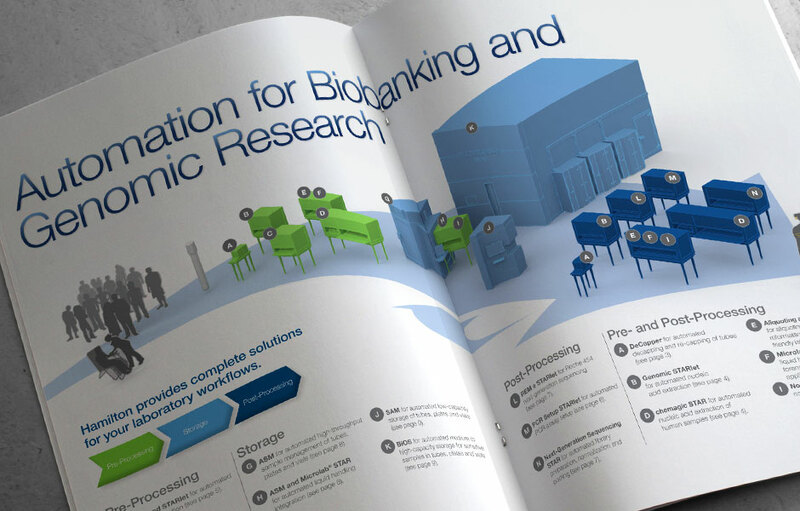 The brochure features product imagery and a main chart that educated the user on the types of systems that sell, and what stage of the research process a particular product falls into.